Editors Note: This post was originally published in October 2015 and updated to reflect recent events... we're sad to concede that this feels surprisingly relevant again. It has been a very difficult week for Cubs fans here in Chicago and across the globe. Despite coming off a 2016 World Series win and a fantastic team again this year, the Cubs were nearly swept by the Los Angeles Dodgers in the NLCS. 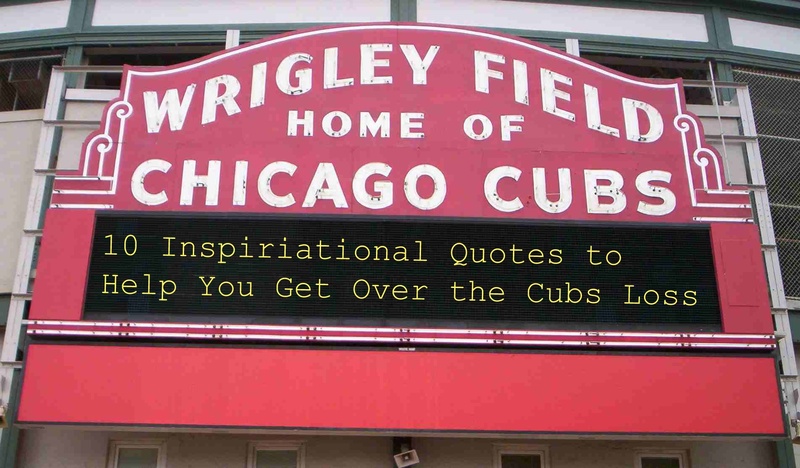 So to help us get over the Cubs' loss, we decided to put together a few of our favorite inspirational quotes. Follow us on our social media channels and check back here for more inspirational quotes and everything you need to know about job searching, career development, and the staffing industry! There's always next year, Cubs fans!